Why stick with healthy muffins that are made to force kids to eat their vegetables-in-disguise when you could turn your muffin into an extremely sugary, jelly-filled donut?? I’ll admit it, I love the zucchini-oatmeal muffins or the blueberry-banana muffins, but these babies are worth the guilt. 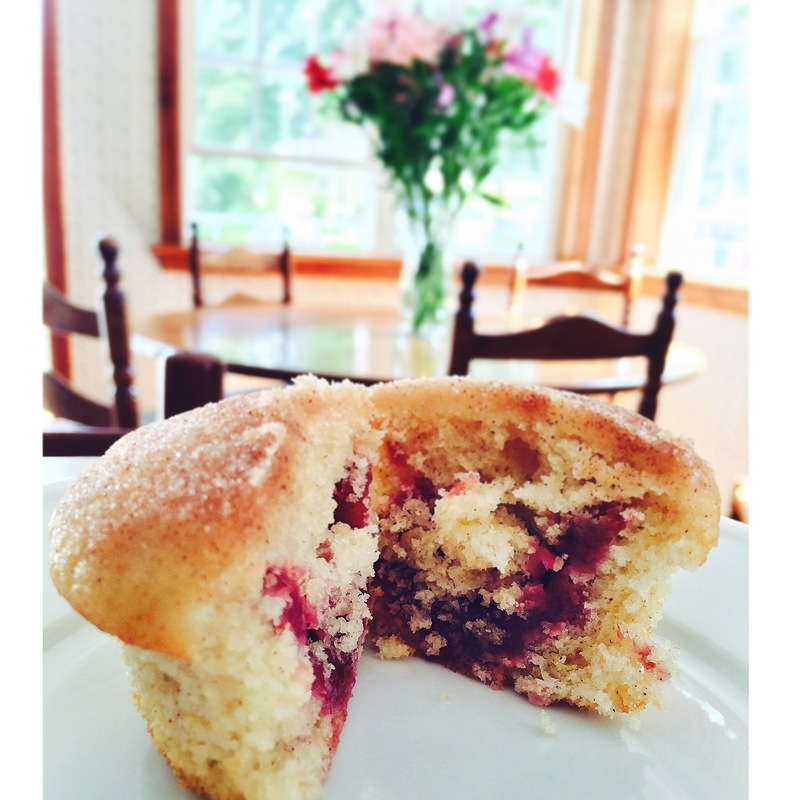 Recipe from “Muffin Mania Cookbook”. Yield 8-9 large muffins. In a bowl combine flour, baking powder, salt, nutmeg and cinnamon. In another bowl combine oil, sugar, egg and milk thoroughly. Add liquid ingredients to dry and stir only to combine. Fill tins 1/2 full of batter, put 1 tsp. jam on top, and top with the rest of the batter. Take muffins out immediately and while hot, dip in melted butter, then sugar and cinnamon. Bon appétit! Previous Post Wanna pizza this? !